He says he will be dead by September. It will take about a week to die, though no one can be sure. Animals live the longest. The war was over in a month. The United States, Russia and China were the protagonists. It is not clear if it was started by accident or mistake. There was no victor. The northern hemisphere is contaminated and lifeless now. A curtain of radioactivity is moving south towards Australia and New Zealand, southern Africa and South America. By September, the last cities, towns and villages will succumb. As in the north, most buildings will remain untouched, some illuminated by the last flickers of electric light. These lines from T.S. 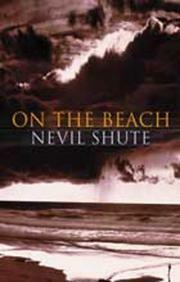 Eliot’s poem The Hollow Men appear at the beginning of Nevil Shute’s novel On the Beach, which left me close to tears. The endorsements on the cover said the same. Published in 1957 at the height of the Cold War when too many writers were silent or cowed, it is a masterpiece. At first the language suggests a genteel relic; yet nothing I have read on nuclear war is as unyielding in its warning. No book is more urgent. Some readers will remember the black and white Hollywood film starring Gregory Peck as the US Navy commander who takes his submarine to Australia to await the silent, formless spectre descending on the last of the living world. I read On the Beach for the first time the other day, finishing it as the US Congress passed a law to wage economic war on Russia, the world’s second most lethal nuclear power. There was no justification for this insane vote, except the promise of plunder. The “sanctions” are aimed at Europe, too, mainly Germany, which depends on Russian natural gas and on European companies that do legitimate business with Russia. In what passed for debate on Capitol Hill, the more garrulous senators left no doubt that the embargo was designed to force Europe to import expensive American gas. Their main aim seems to be war – real war. No provocation as extreme can suggest anything else. They seem to crave it, even though Americans have little idea what war is. The Civil War of 1861-5 was the last on their mainland. War is what the United States does to others. Filming last year at the Lincoln Memorial in Washington, I overheard a National Parks Service guide lecturing a school party of young teenagers. At a stroke, the truth was inverted. No freedom was defended. Freedom was destroyed. A peasant country was invaded and millions of its people were killed, maimed, dispossessed, poisoned; 60,000 of the invaders took their own lives. Listen up, indeed. Those who call themselves liberals or tendentiously “the left” are eager participants in this manipulation, and its brainwashing, which today revert to one name: Trump. Trump is mad, a fascist, a dupe of Russia. He is also a gift for “liberal brains pickled in the formaldehyde of identity politics”, wrote Luciana Bohne memorably. The obsession with Trump the man — not Trump as a symptom and caricature of an enduring system – beckons great danger for all of us. While they pursue their fossilised anti-Russia agendas, narcissistic media such as the Washington Post, the BBC and the Guardian suppress the essence of the most important political story of our time as they warmonger on a scale I cannot remember in my lifetime. On 3 August, in contrast to the acreage the Guardian has given to drivel that the Russians conspired with Trump (reminiscent of the far-right smearing of John Kennedy as a “Soviet agent”), the paper buried, on page 16, news that the President of the United States was forced to sign a Congressional bill declaring economic war on Russia. Unlike every other Trump signing, this was conducted in virtual secrecy and attached with a caveat from Trump himself that it was “clearly unconstitutional”. A coup against the man in the White House is under way. This is not because he is an odious human being, but because he has consistently made clear he does not want war with Russia. This glimpse of sanity, or simple pragmatism, is anathema to the “national security” managers who guard a system based on war, surveillance, armaments, threats and extreme capitalism. Martin Luther King called them “the greatest purveyors of violence in the world today”. They have encircled Russia and China with missiles and a nuclear arsenal. They have used neo-Nazis to instal an unstable, aggressive regime on Russia’s “borderland” – the way through which Hitler invaded, causing the deaths of 27 million people. Their goal is to dismember the modern Russian Federation. In response, “partnership” is a word used incessantly by Vladimir Putin — anything, it seems, that might halt an evangelical drive to war in the United States. Incredulity in Russia may have now turned to fear and perhaps a certain resolution. The Russians almost certainly have war-gamed nuclear counter strikes. Air-raid drills are not uncommon. Their history tells them to get ready. The threat is simultaneous. Russia is first, China is next. The US has just completed a huge military exercise with Australia known as Talisman Sabre. They rehearsed a blockade of the Malacca Straits and the South China Sea, through which pass China’s economic lifelines. The admiral commanding the US Pacific fleet said that, “if required”, he would nuke China. That he would say such a thing publicly in the current perfidious atmosphere begins to make fact of Nevil Shute’s fiction. None of this is considered news. No connection is made as the bloodfest of Passchendaele a century ago is remembered. Honest reporting is no longer welcome in much of the media. Windbags, known as pundits, dominate: editors are infotainment or party line managers. Where there was once sub-editing, there is the liberation of axe-grinding clichés. Those journalists who do not comply are defenestrated. The urgency has plenty of precedents. 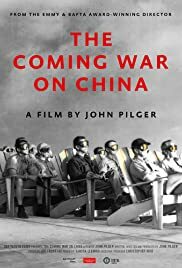 In my film, The Coming War on China, John Bordne, a member of a US Air Force missile combat crew based in Okinawa, Japan, describes how in 1962 – during the Cuban missile crisis – he and his colleagues were “told to launch all the missiles” from their silos. Nuclear armed, the missiles were aimed at both China and Russia. A junior officer questioned this, and the order was eventually rescinded – but only after they were issued with service revolvers and ordered to shoot at others in a missile crew if they did not “stand down”. At the height of the Cold War, the anti-communist hysteria in the United States was such that US officials who were on official business in China were accused of treason and sacked. In 1957 – the year Shute wrote On the Beach – no official in the State Department could speak the language of the world’s most populous nation. Mandarin speakers were purged under strictures now echoed in the Congressional bill that has just passed, aimed at Russia. The bill was bipartisan. There is no fundamental difference between Democrats and Republicans. The terms “left” and “right” are meaningless. Most of America’s modern wars were started not by conservatives, but by liberal Democrats. When Obama left office, he presided over a record seven wars, including America’s longest war and an unprecedented campaign of extrajudicial killings – murder – by drones. In his last year, according to a Council on Foreign Relations study, Obama, the “reluctant liberal warrior”, dropped 26,171 bombs – three bombs every hour, 24 hours a day. Having pledged to help “rid the world” of nuclear weapons, the Nobel Peace Laureate built more nuclear warheads than any president since the Cold War. Trump is a wimp by comparison. It was Obama – with his secretary of state Hillary Clinton at his side – who destroyed Libya as a modern state and launched the human stampede to Europe. At home, immigration groups knew him as the “deporter-in-chief”. One of Obama’s last acts as president was to sign a bill that handed a record $618billion to the Pentagon, reflecting the soaring ascendancy of fascist militarism in the governance of the United States. Trump has endorsed this. Buried in the detail was the establishment of a “Center for Information Analysis and Response”. This is a ministry of truth. It is tasked with providing an “official narrative of facts” that will prepare us for the real possibility of nuclear war – if we allow it.